With the high number of people going back, getting a Police Clearance Certificate for their stay in the Kingdom is of significance before they leave the Kingdom of Saudi Arabia for good. - PCC is one of the important document which is usually ignored as it is not known by many. This certificate is advisable to be taken by the Expatriates who are on the verge of leaving Saudi Arabia on Final Exit. It is a compulsory document for those who are willing to settle in any other country than their home country especially those who intend to migrate to western countries as this document will be asked during the visa application process. It is also advisable even for those people who are leaving on Final Exit but do not have immediate plans to immigrate to any other country. Because once they leave, getting PCC for their stay in Saudi Arabia is an extremely costly and a lengthy process too. 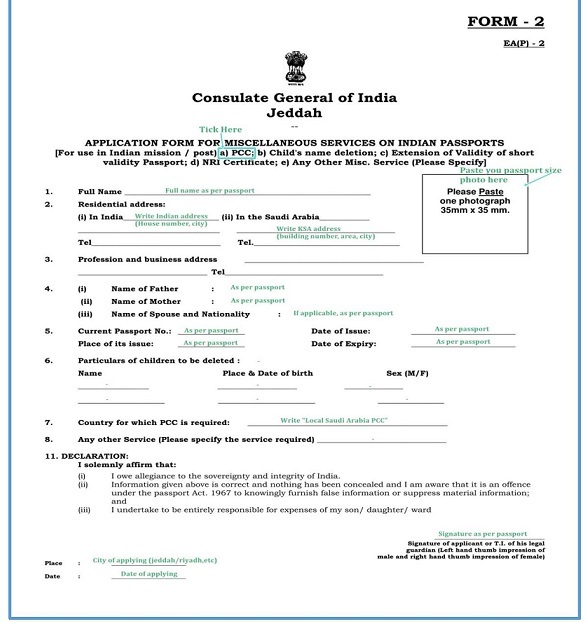 - Following is the detailed outlined step-by-step procedure to obtain PCC from Indian Consulate in Jeddah, but this procedure is applicable to all expats replacing Indian Consulate with their respective Consulates/Embassies. Step1: Obtain Letter of Endorsement (No–Objection Certificate) from Your Respective Embassy/Consulate Following is the procedure to obtain Letter of Endorsement from Indian Consulate – Jeddah, in case of Expatriates from Other Countries, please follow the procedure as per your respective Embassy which more-or-less is the same for all.